Originally bred as a scenthound for hunting game, the Beagle is a small yet mighty breed. Determined by nature and loving at heart – it’s no wonder why this breed is one of America’s favorites. During the 14th century, Beagles were used to hunt rabbits and hares in England. Once in America, the Beagle was once again put to work for their incredible sense of smell. Beagles are bred to be in packs, which means they need plenty companionship and guidance. Once in a supportive household, a Beagle can have a loving, well-tempered, and obedient personality. Loving, sweet, and curious are all key Beagle characteristics. They can be mischievous at times, either by running away or causing trouble. However, if they are trained early on, they will learn proper behavioral skills to be great household pets. Even though they are not violent dogs, they can have very boisterous characteristics and will bark or howl. To avoid unruly behavior, make sure they are getting enough exercise and attention. Beagles can become bored easily, so it’s important to keep them entertained through physical or mental stimulation. Beagles are not an easy breed to train. Their independent personality makes them unamused by training efforts and will quickly show signs of resistance. Hounds in general are not keen on obedience training and have no desire to please their owners. If there is one incentive that Beagles respond to, it would be for food. This breed loves to eat, and many Beagle owners use this to their advantage during training. Starting training early is the key to success, and that goes for all breeds. Socialization with humans and other animals should also be considered to ensure a well-behaved pet. The Beagle has a moderate to high level of activity. While they are active and playful in their younger years, they tend to become lazier with age. This breed is also prone to obesity, so it is very important to stick with a daily exercise plan for optimal Beagle health. A Beagle lifespan ranges from 12-15 years. Due to their petite size, Beagle life expectancy is longer than many larger-sized breeds. The Beagle has always been one of the most popular dogs in America. Since it’s been recognized in the American Kennel Club in 1885, the Beagle has always been within top ten favorites. Today, the Beagle ranks 5th most popular breed in the U.S. Since this breed is at higher risk of obesity, it is important to monitor their daily food consumption closely. Three-fourths of a cup to one and a half cup of high-quality food split into two separate meals are recommended for the day. Keep in mind that each dog has different needs depending on their age, metabolism, and activity level. Make sure to always have fresh water on hand at all times to prevent dehydration. To keep their coats in good condition, frequent brushing is highly recommended. Make sure to use either a medium-bristle brush or a hound glove to remove excess hair from the Beagle’s short coat. This breed is known to shed, however, this can be reduced by brushing once a week. Since these dogs have longer ears, air cannot circulate as well which causes wax build-up and infection. It is recommended to check ears and trim nails every two weeks to prevent any Beagle health problems. Beagles are loving and tolerant, making them a great breed for kids. Their compassionate and playful personality works well in a family setting, and that is why they are one of the most popular breeds to date. Make sure they are properly socialized at a young age so they know how to act with smaller children around. Hip Dysplasia: Hip dysplasia in Beagles occurs more often than with most dogs their size, with about 18% reported. Beagle hip dysplasia occurs when there is an abnormality in the hip socket. This genetic disorder leads to lameness, immobility, or pain. Intervertebral disc disease: This disease is commonly seen through dwarfism or long-backed dogs. Intervertebral disc disease causes back pain and can lead to paralysis in extreme cases. Degenerative myelopathy: The canine equivalent of Lou Gehrig’s disease, is a progressive spinal cord disease that causes lack of coordination and weakness. Within six months to a year, this disease causes paralysis and eventually death.Degenerative myelopathy has been reported in roughly 20% of Beagles. Inherited autoimmune hypothyroidism: This occurs when the body’s antibodies destroy thyroid cells. The body produces low thyroid hormones which can lead to further chronic issues. Periodontal disease: This disease is a bacterial infection of the mouth. In severe cases, this health issue can lead to gum disease or tooth loss. Chinese Beagle Syndrome (Musladin-Leuke Syndrome, or MLS): This Hereditary disease found in Beagles occurs when the bones, skin, muscle and heart are affected or slightly deformed. These dogs affected are born with very tight skin, slanted eyes, and high ear sets.Because of their tendons contract from this syndrome, the dogs have to walk on the top of their toes. Dwarfism (chondrodystrophy): Dwarfism can be affected in varying degrees. Beagle dwarfism is a result of deformities in the legs and spine, which can lead to pain or arthritis. Epilepsy: Epilepsy in Beagles is more common than with many other breeds. Beagle epilepsy causes seizures from internal health factors. Deafness: Some predominantly white Beagles are deaf in one or both ears due to pigment related deafness seen in dogs with extreme piebald pattern. renal amyloidosis: This form of kidney disease is seen at higher rates of Beagles than most breeds. Renal amyloidosis can eventually lead to kidney failure in severe cases. Other Beagle health issues seen at a slightly elevated rate include pulmonic stenosis, cherry eye, diabetes mellitus (females only), allergies and Beagle pain syndrome (juvenile polyarteritis). National Breed Website: National Beagle Club of America, Inc.
We have seen enough of an improvement, and I am more than satisfied with Canna-Pet service and pricing, that I am re-odering two more boxes. We’re the Cole family in New Hampshire and our pups Hooper (beagle mix) and Brodie (lab mix) LOVE the maple bacon Canna-Biscuits! Since they started them a couple weeks ago, we’ve noticed a huge difference in their behavior! 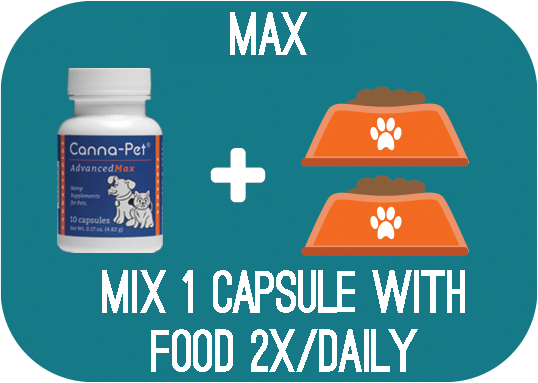 We purchased your canna-pet capsules and started Melky after a seizure on May 5, 2017. He had one more seizure less than an hour later and has been seizure free since that moment. It is over 13 months and not a single seizure! We are amazed and beyond ecstatic! A couple days after adding Canna-Pet biscuits to her daily routine the seizures completely stopped and she is much more comfortable! Oscar hurt his back legs and had to do months of water therapy. They bother him a lot although he still runs like the wind. We have now been seizure free for ONE YEAR! !